Used for bending reinforcement bars and different kind of round bars, this machine can bend dia from 4m.m to 20m.m. 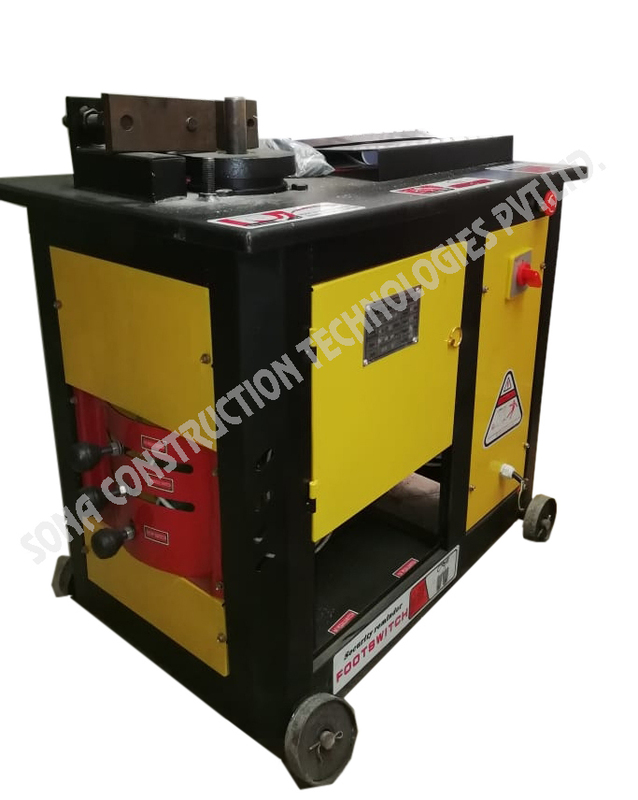 Ring Making Machine is specially designed for heavy duty rebar and high on demand for construction job site application. It comes with advanced electrical control panel with brake motor increases performance and durability. Offered machine ensures high durability at its user ends, effectively increases the production capacity. Different bending bushes are designed for various bending radius for this machine. Ring Making Machine is provided with emergency stop push button in case of any mechanical fault. We offer this machine at cost effective prices. 1) Advanced Electrical control panel with brake motor increases performance and durability. 2) Different Bending Bushes designed for various bending radius. 3) Ensures high durability at its user ends, effectively increases the production capacity. 4) Various sizes of bushes for bending diameter of bars. 5) Cost effective bending machines, used for bending reinforcement bars and different kind of round bars.